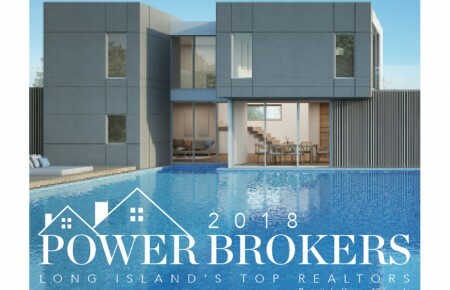 Steeped in history, the Gold Coast is rife with historic mansions, winding, tree-lined roads and serene coves and harbors, offering tremendous views of the Long Island Sound. Great Neck | During the summer, Great neck Plaza transforms its streets with Promenade Nights. This picturesque downtown feels like it’s held over from another time—the stores lining Audrey Avenue sport striped awnings and weathered wooden shingles. Oyster Bay is perhaps best known for Oyster Fest, held in October. But in the summer, it’s all about the St. Rocco Festival. Held at Fireman’s Field, the event has been known to draw 50,000 people to the town. Rides, games and food abound at this italian-American festival that dates back to the early 1900s. Oyster Bay is said to have some of the cleanest water on Long Island, why not take it in? The WaterFront Center makes it easy to learn how to sail, offering classes for kids and adults; they also rent out sailboats, kayaks and stand up paddleboards. The group’s educational sessions teach people about the marine environment on the North shore. The first sunday in June is Bay Day, The WaterFront center’s way of giving back to the community. it provides sailing, kayaking and sup demos and rentals, arts and crafts for kids, and entertainment, all at no cost. The highlight of the day is the Anything That Floats Race, where participants put their creativity to the test and fashion boats out of anything but styrofoam or rubber. The kicker: The skippers have to be able to pilot the craft around a short course. Good Life Divers offers scuba diving lessons and certification courses right on the North shore. After a few training sessions in the pool, you can take your skills to the open water and dive at oyster Bay’s Beekman Beach. One of Oyster Bay’s most famous residents was Theodore Roosevelt. 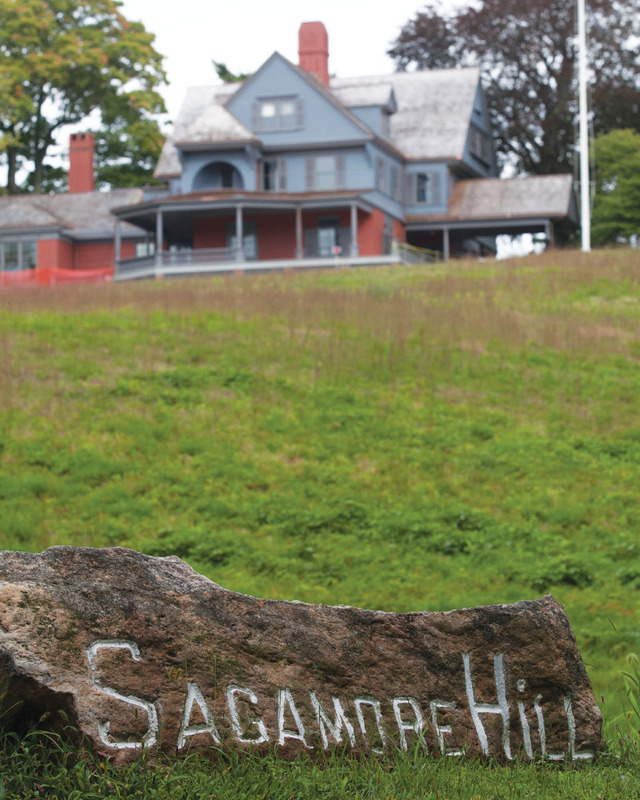 His Sagamore Hill estate has recently undergone a major renovation and is open to the public. Tour Roosevelt’s home, visit the museum or take a stroll though the grounds, which stretch down to the shore. Theodore Roosevelt Memorial Park is in the center of town, built over a former dumping ground after the president’s death to honor his conservationism. This state park takes visitors from wooden forests to rocky beaches. 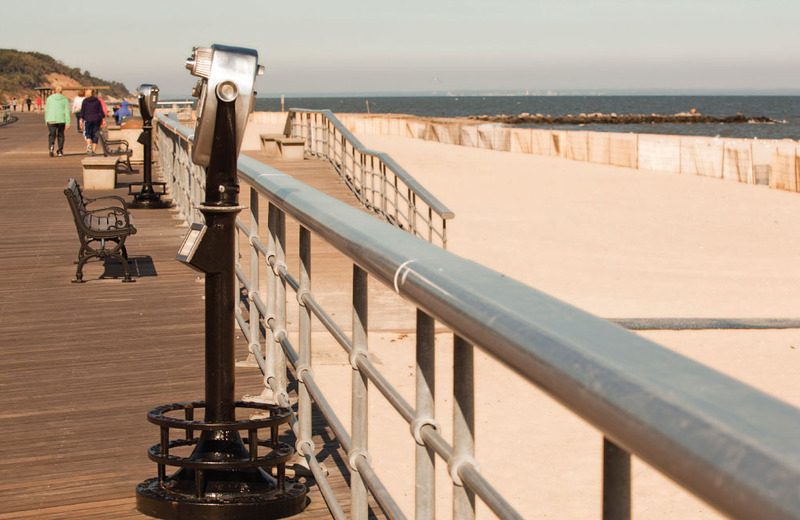 A ¾-mile boardwalk runs along the beach where parents sunbathe and kids play in the calm waters of the long island sound. picnic spots are plentiful on the shady grounds, but they fi ll up fast on weekends. The park has a network of trails to hike, but for a change of pace try mountain biking. scenic singletrack paths run along the edges of bluff s overlooking the sound. But beware of the infamous cardiac Hill, a term that strikes fear in the hearts of cross-country runners island-wide. Better to position yourself to approach this obstacle on the downhill. The Huntington Arts Council Summer Arts Festival takes over the village for 40 days as it has every summer for 50 years. The Chapin Rainbow Stage at Heckscher Park is booked six days a week from the end of June to the beginning of August with musical performances, plays, poetry and family night. The Huntington Historical Society holds its annual Heritage Crafts Fair in August, where local artisans, including potters, jewelry designers, weavers, flower designers and soap makers display and sell their products. The Paramount, one of the island’s most popular music venues, brings in big talent, especially this summer when Graham Nash and Creedence Clearwater Revisited expand the eclectic lineup with their respective dates. 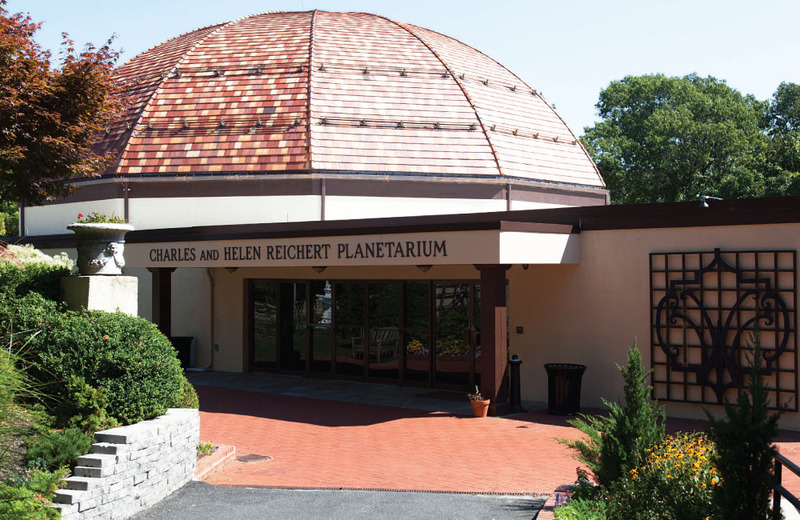 Over in Centerport the Vanderbilt Planetarium, every LI native’s favorite middle school field trip destination, hosts shows and themed festivals and events. For a show that won’t make you feel like you should be boarding a school bus afterwards, try Musical Space Journey. The music of Pink Floyd, Black Sabbath and Kool & the Gang are the playlist to stargazing and 3D animation in the dome. harbor vistas while attending lectures, visiting the in-house gallery and taking recreation classes. The Quick and Dirty Boat Build pays homage to Port Jefferson’s shipbuilding history with an unconventional competition. In its fifth year, the event has ambitious teams transforming wood planks into a boat over the course of two days. Held at Bayles Boat Shop, teams build, paint and race their creations for prizes. For something with a little more regulation, but no less fun, the annual Village Cup regatta pits local government employees against local hospital employees in a sailing race to raise money for pancreatic cancer research. 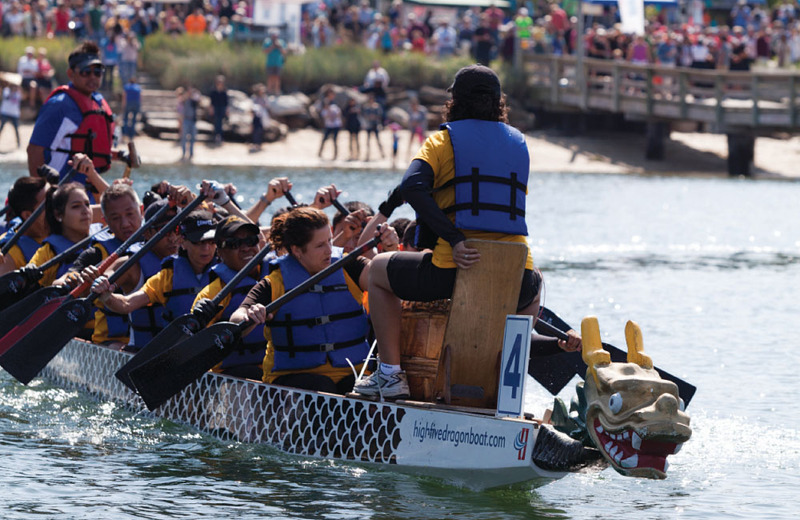 And making its debut last year was the Dragon Boat Race Festival. Held at the end of September, the traditional event celebrates Asian culture and dates back over 2,500 years. Rice dumplings are the main food of the festival, but vendors will provide plenty of options for spectators as musical and cultural performances stay audiences after the race.